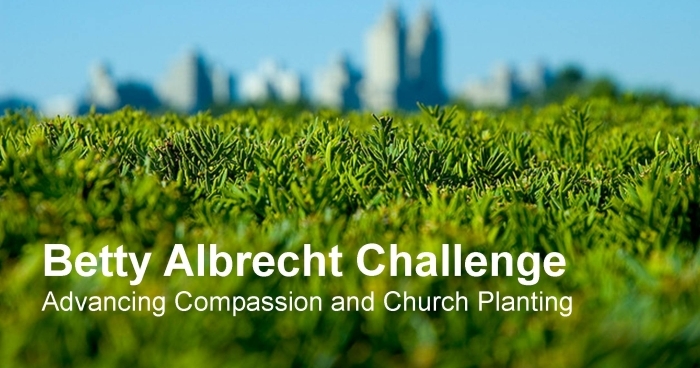 Next Sunday (May 3), BIC churches across Canada will be participating in the Betty Albrecht Challenge. In 2014, through the Betty Albrecht Challenge, three new churches were started in Canada. This year we are working to launch two to three more church plants. The Betty Albrect Challenge greatly expands our global compassion and local church planting efforts. Thank you for your generous support. Why don’t you respond this week? Go to www.canadianbic.ca/betty-albrecht-challenge and give today … or bring your cheque to Westheights Church next Sunday and place your donation in the Westheights offering plate by Sunday, May 3, and we will forward your donation to BIC Canada. Please make your cheque payable to BIC Canada and indicate Betty Albrecht Challenge in the memo line.